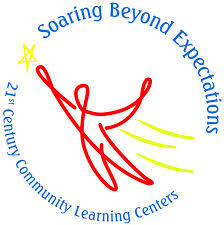 We design, write, and implement the evaluation component of your 21st Century Community Learning Center grant proposal. We have written successful evaluation proposals for 21st Century grants in multiple states. Let us help you with your 21st Century Community Learning Center grant evaluation program performance plans and reports today! What is a 21st Century Community Learning Center grant? The 21st Century Community Learning Center program supports the creation of community learning centers that provide academic enrichment opportunities during non-school hours for children, particularly students who attend high-poverty and low-performing schools. The program helps students meet state and local student standards in core academic subjects, such as reading and math; offers students a broad array of enrichment activities that can complement their regular academic programs; and offers literacy and other educational services to the families of participating children. Check out You for Youth: Online Professional Development and Technical Assistance for 21st CCLCs. You may want to visit the Afterschool Alliance, a non-profit public awareness and advocacy organization working to ensure that all children and youth have access to quality, affordable afterschool programs.